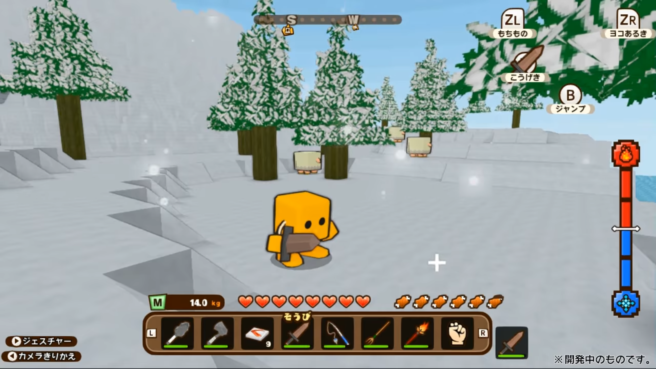 Essentially, there will be three distinct modes in the game: Adventure Mode, which features a variety of gameplay elements including exploration, combat and communication, Creative Mode, where you can build up an original world at your own pace and Stage Builder Mode, in which you can use gimmick cubes to create unique stages. Home World is a new addition to Adventure Mode in this game. It is a sort of hub world from which you can travel to other worlds. There are no enemies here, so you freely customize it, have conversations with citizens, buy items and more. There are three times as many cube types in this game compared to Cube Creator 3D. Also, systems such as height, weight, heat and weather have been added. Avatar customization has been improved and offers more options than ever before, so you can easily create an avatar that suits you. March 2019 NPD: top 20 best-selling games in the U.S.